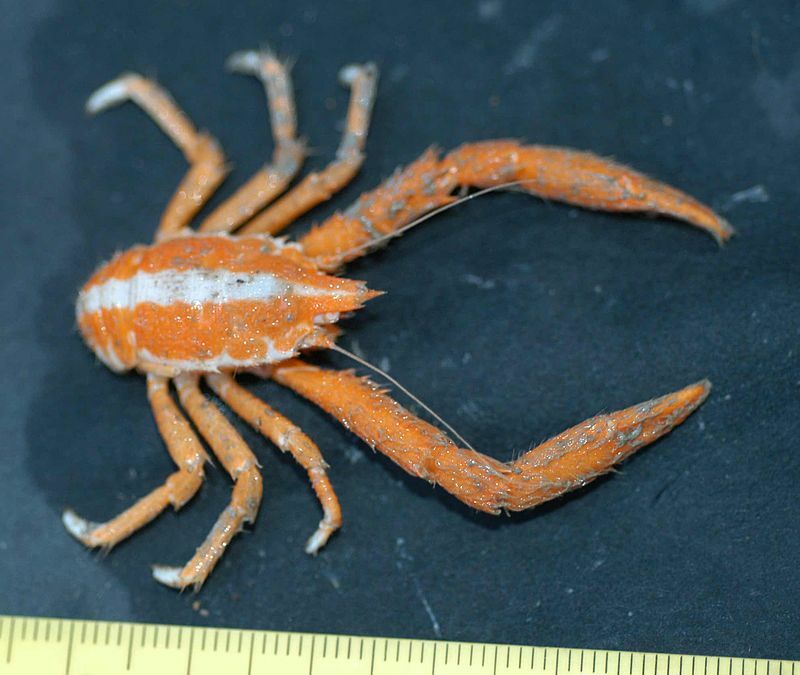 Squat Lobsters are not true lobsters. They are rather close to the crabs. 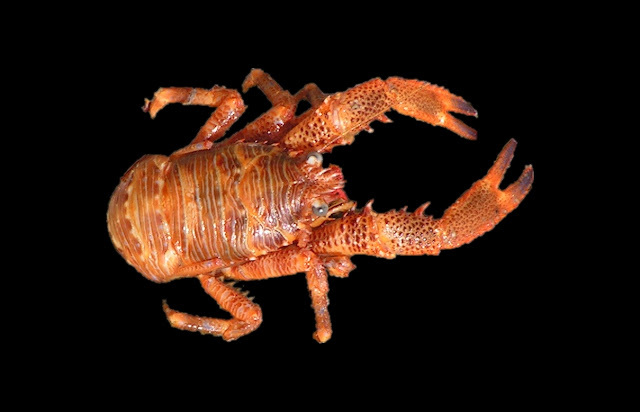 But like crabs and lobsters they also belong to the group of Crustaceans. 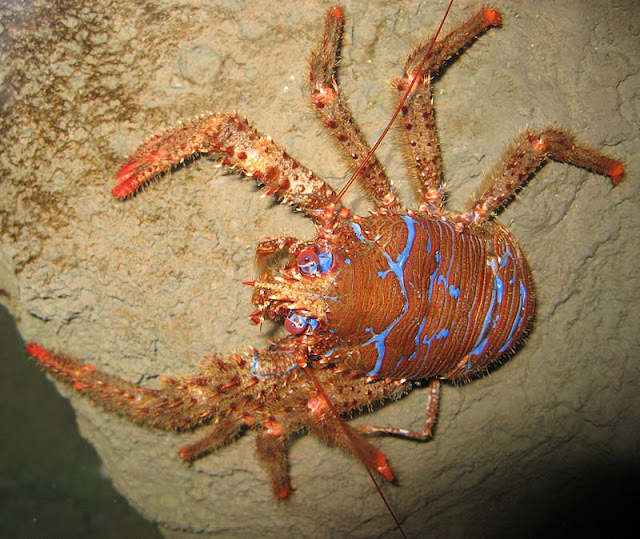 We are going to discuss some Squat Lobster facts in this post. Squat Lobsters live in the oceans. 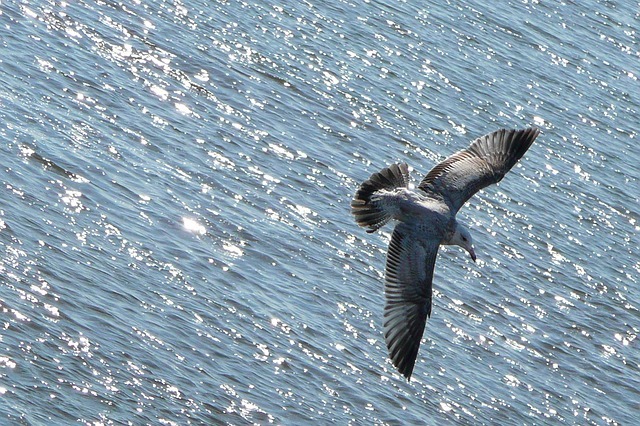 They can be seen in every part of the world ocean. These animals are odd looking but colorful creatures. They live on the sea bottoms. There are more than 900 species recorded so far. So, they can be extremely varied in shape, size, and color. But in general, these creatures are small in size. Head to end length can vary from 90 mm to 5 mm. Squat Lobsters eat plankton. They grow in thousands in plankton rich places. Bigger fishes and sea animals eat them frequently. They are a big food source for them. So these animals play the very important role of transferring energy from the producers into the food chain. These lobsters like creatures are edible and is a part of sea food menu lists in many countries. These creatures are also used as a very good source of fish food for commercial fisheries. That is why fishermen all over the world target these marine animals. Crinoid Squat Lobster has many names like Star Lobster or Elegant Lobster. The scientific name of the species is Allogalathea elegans. They are fancy looking crab like sea animals. They generally lives in association with the crinoids. There body color and pattern matched with that of their hosts. They can also live independently. The females grows bigger than the males. 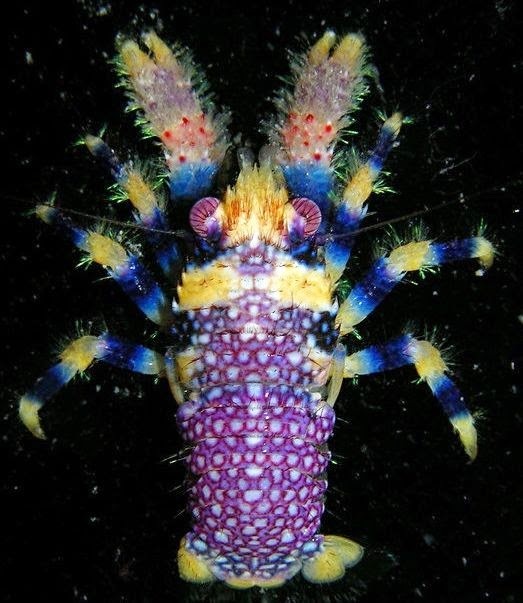 Galathea Pilosa is a colorful Squat Lobster. G.Pilosa is not that abundant in the wild. Actually, it is endemic to the coral islands of French Polynesia. They live in the small blocks of corals and to match with the exquisite color of their backgrounds there bodies are also similarly evolved. That creature is small (about 10 to 12 mm). Emunida Picta lives in the coral reefs made by Lophelia pertusa Corals. These reefs can be seen in the deep part of the West Atlantic Ocean, near the coast of USA. The Eumunida picta has a orange body with some whites in the tips of its legs and claws. 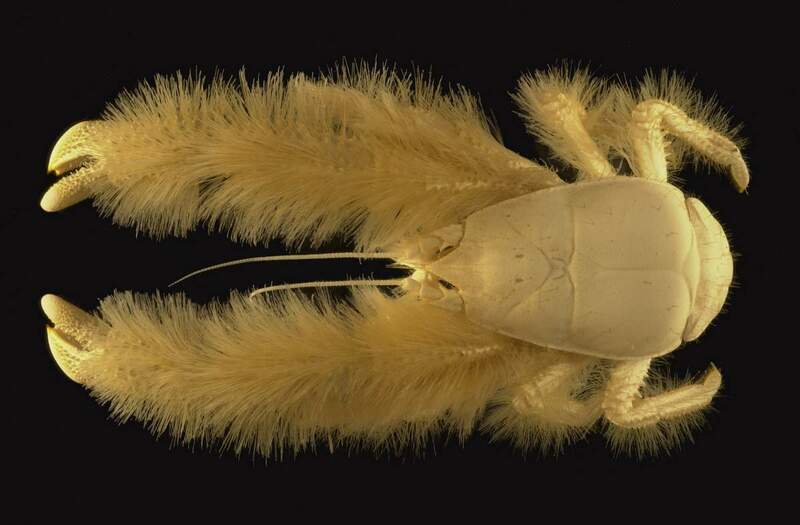 Yeti Crabs or Kiwa hirsuta is a fascinating sea creature. 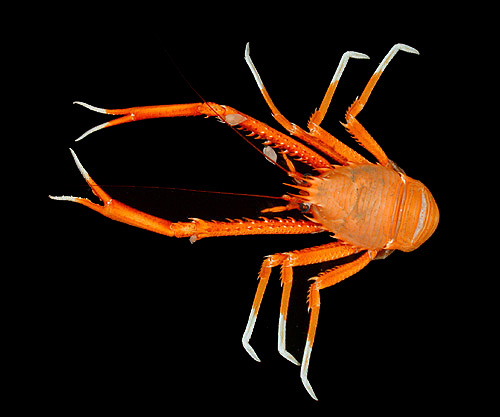 These Squat Lobsters were unknown to man before 2006. They live in hydrothermal vents and cold steeps, places which are not suitable for most other animals to live. As they live in the places full of methane and sulfur mixed in the water, they are not harmed by these toxic elements. Munidopsis serricornis is mainly an Atlantic Ocean dweller. But some amount of this Squat Lobsters can be found everywhere. They are the most dominant creatures in the coral reefs of Norway. Montagu's plated lobster or Galathea squamifera prefers cold waters. So, they can be found mostly in the Atlantic shores of the Northern Europe. These Squat Lobsters can grow up to 65 mm. Galathea intermedia live in the North Eastern shores of the Atlantic Ocean. That species of the Squat Lobsters are very small in size. Even the larger specimens of the creature hardly reach 8 mm. The color of its body is red with a stripe along the back. Like most other species of Galathea, the species Galathea stirgosa also lives in the waters near the shores of north and west Europe. But there are some also in the Mediterranean and the Red Sea. they are larger than most other Squat Lobsters. The adult can be as big as 90 mm in length (well, it is not so big!). It is edible but not a most common catch by the fishermen. As the name suggests, M. andamanica lives near the sea floors of the Andaman Sea. They are known for their unusual diet of rotten wood. Floating wood rests on the sea floor and becomes food item of that species. Certain bacteria living inside their body helps them to digest wood. What is the difference between a Squat Lobster and a “True” Lobster? 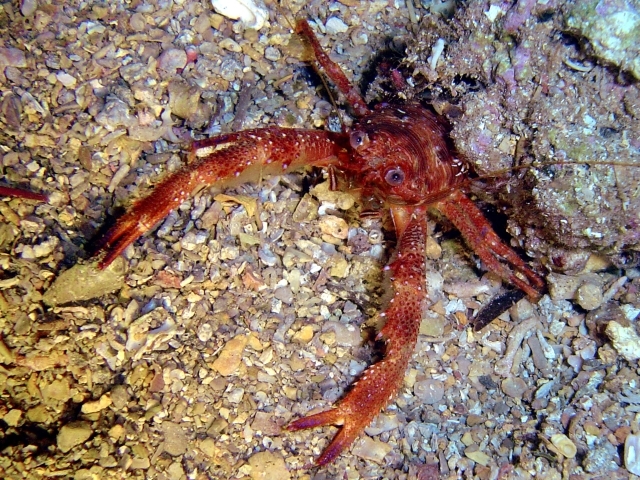 Squat Lobsters are more related to crabs than Lobsters. They looked like a lobster but genetically and physiologically they are quite different. They are much smaller than common lobsters. Are the Squat Lobsters edible? Yes, like the true lobsters Squat Lobsters can be eaten without any problem. Their meat is known as langostino. It also tastes like a lobster. Do all they all look alike? Actually, there are more than 900 species of Squat Lobsters in our oceans and seas. So, one can understand the immense diversity of shape, size and color among them. Are all the species of Squat Lobsters documented? No, our oceans are vast and most of its deepest areas are yet to be explored. 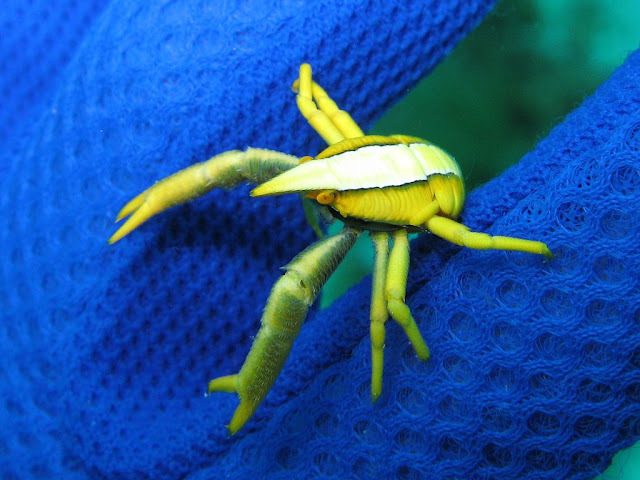 It is estimated that about 120 species of Squat Crabs are yet to be fully documented or classified. It is very possible that many more new species of the animal will be discovered soon. All the species do not have same food habits. Some are algae eaters while some prefers to feed on zoo plankton. 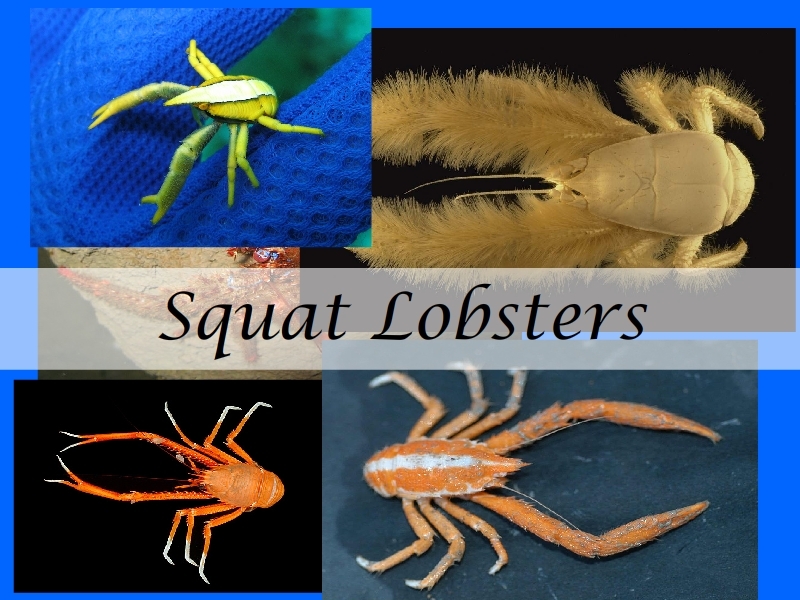 Some of the Squat Lobsters are predators. There is also a wood eating species. The Yeti crabs can eat methane and sulfur.